Hi everyone, I am Constantin and I am the Future Cruise Consultant onboard this large Ship that has a total of 4000 guests. Myself and the roughly 2000 colleagues of mine, do our best to make our guests time onboard an unforgettable vacation, filled with some great memories. As my position title states, I am here to sell future cruises to the guests. Like with every business, marketing and sales is a big part of a companies financial success. While a huge team ashore works on getting new and past guests onboard our ships, we onboard speak to the guests directly. What better advertisement can there be for a company, then to show guests that they can have a wonderful vacation – and while they are doing so, they can book their next trip. Of course, first of you need to be a born sales person, to be successful in this position. Having an outgoing personality and not being afraid to speak to a crowd, fluently and convincingly is also necessary. And most importantly an applicant for this position must have a very good knowledge about the company, the different ships, layouts and ports of call. My first contract when I first started onboard was as a host at the Captain's Club, which is for repeat guests. This was a great way to get to know the ship and ports of calls, and already is in constant contact with the guests. I have a little desk, in one of the public areas where guests can look at brochures of all the ships and voyages and I am there at fixed times throughout the day. At other times, I can be reached via the Reception Desk, in case a guest has any questions or wants to know more about what we have to offer. During functions, I mingle with the guests like a social hostess, make small talk, introduce myself and explain my position. I also have functions on my own, normally on a sea day, where I tell guests about our program and what the advantages are to book the next trip, while they are onboard. 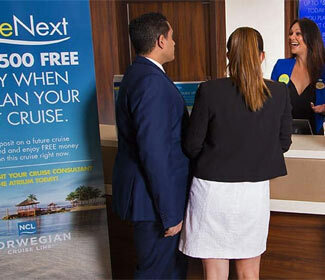 Each cruise line has different incentives. Here we offer a bottle of wine, a cabin upgrade free of charge and some other goodies, for the future cruise, if the guests book onboard. 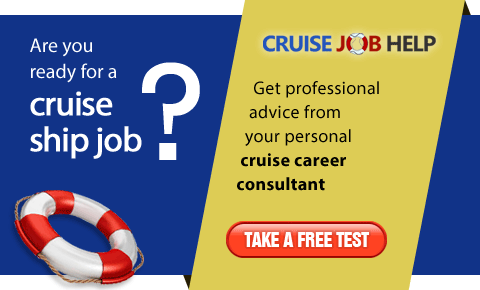 Some cruise lines also pay a commission to the future cruise consultant for each sold cruise, others pay a fixed salary for this position. So in general I do a lot of public relations and marketing onboard, always with the goal of selling a future cruise. 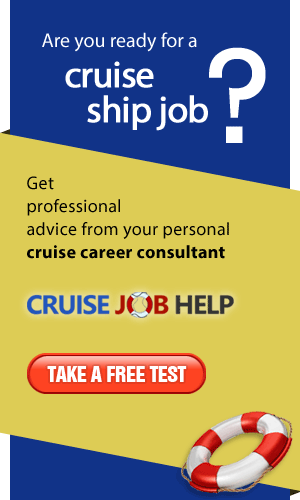 I hope to meet you one day and share some more information on working onboard a cruise ship.